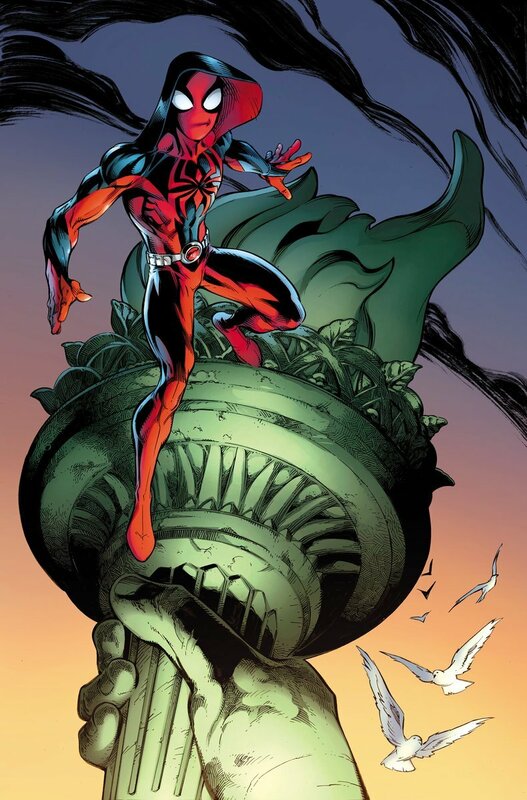 Earlier this year, Marvel announced the launch of Ben Reilly: The Scarlet Spider following the events of the Spider-Man centric The Clone Conspiracy. Since then, there’s been quite a bit of controversy in regards to the hero’s redesigned costume, though we recently learned that he’ll once again don the original after the first arc wraps up. However, that news just serves to make this preview of issue #1 all the more confusing. 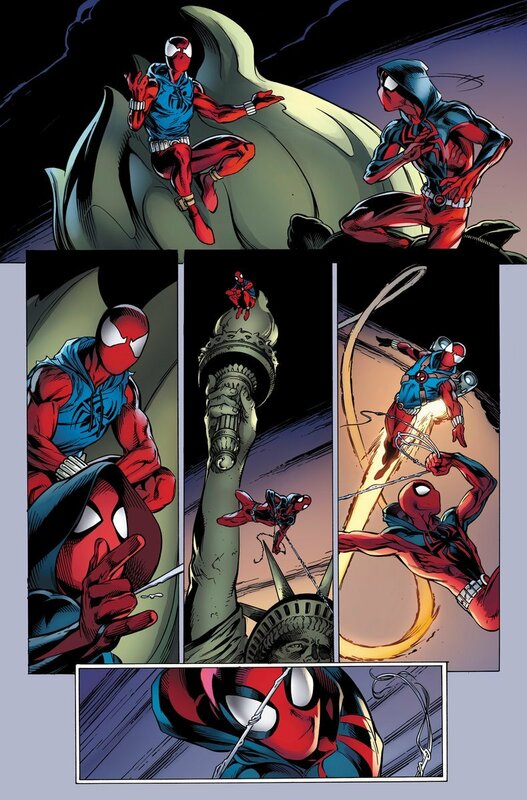 As you can see in the gallery above, Ben Reilly comes face to face with…himself? 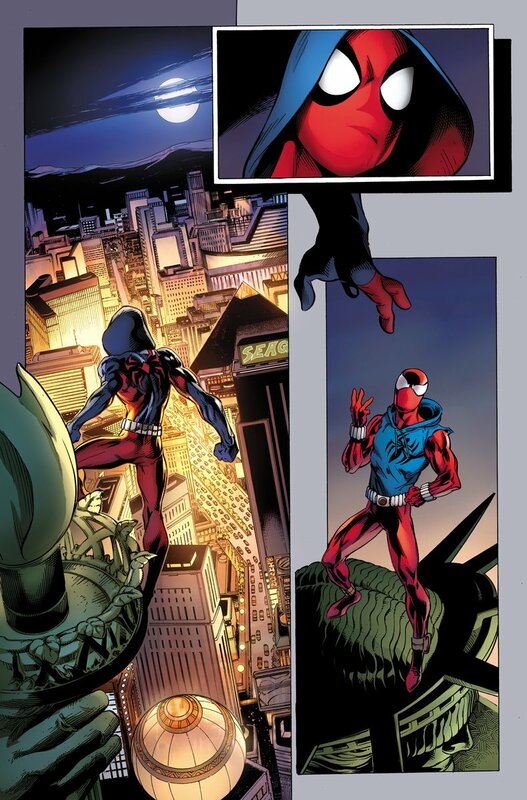 At least, that’s what it looks like, as we get to see the new-look Scarlet Spider interacting with a version wearing his original costume. Could this be a hallucination, or a Spider-Man from another Earth? As of right now, it’s hard to say for sure, but we’re certainly intrigued. In The Clone Conspiracy, Ben took on something of a villainous persona as the new Jackal, so it could be that he’s struggling with his identity here. Interestingly, the mouth slit on the new suit definitely isn’t as emphasized here as it was on the cover’s first issue, which might be a possible response to the way fans ridiculed how daft it looked. The first issue of Ben Reilly: The Scarlet Spider is set to go on sale on April 26th, so we don’t have too much longer to go now until we find out what’s next for Spider-Man‘s fan-favourite clone. It definitely appears as if he’s going to be given a key role in the Marvel Universe moving forward though, so here’s hoping the creative team of Peter David and Mark Bagley (no strangers to The Clone Saga) manage to do him justice in this series.